All motorists have hit their share of jarring potholes this spring. There are so many that they are hard to dodge – you veer around a big one and you’re bound to hit another. Our vehicles are taking a beating and can suffer lasting and expensive damage. But for motorcyclists, potholes can be killers. 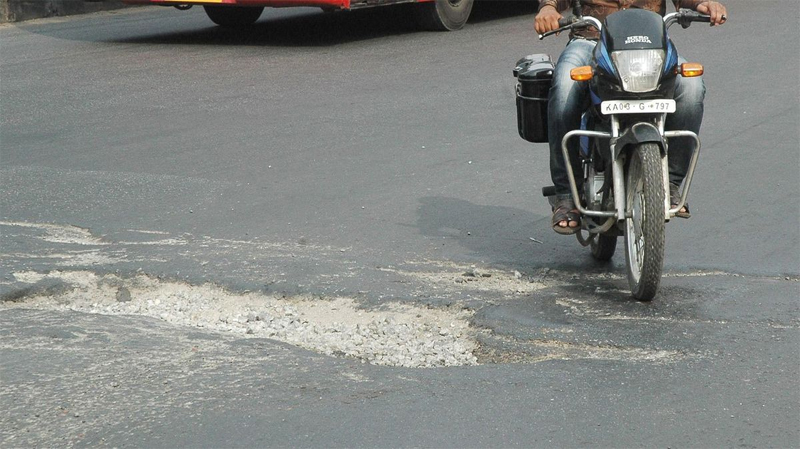 Motorcycles, with just two wheels, are ill-equipped to handle potholes. A 23-year-old motorcyclist was killed in the Philadelphia area recently when he was thrown from his motorcycle after hitting a pothole on Interstate 95 and slamming into a guardrail. He suffered major head injuries and died later in a hospital. Police have not said how fast the biker was going or whether he had a helmet. Twin Tiers roads are a disaster this spring after our long and difficult winter. 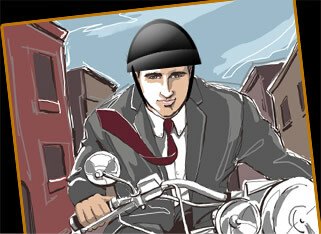 Motorcyclists need to slow down and be prepared to react quickly to hazards in the road. They are not the only hazard facing motorcyclists: we have bumps in the roadways, seams that can snare wheels, gravel, and other debris. When you see potholes, report them. We can’t report all of them, of course. But report as many of the most dangerous ones as you can. This entry was posted in Motorcycle Accidents, Motorcycle crashes, Motorcycle Insurance, Motorcycle Safety, Uncategorized and tagged accident attorney, accident lawyer, Adam Gee, Adam M. Gee, American Motorcyclist Association, attorney, Elmira New York, injury, Motorcycle, motorcycle accident, motorcycle safety, New York, new york motorcycle, New York motorcycle attorney, new york motorcycle attorney adam gee, new york motorcycle crash, new york state motorcycle laws, NY accident attorney, NY accident lawyer, NY and PA motorcycle lawyer, NY biker lawyer, NY motorcycle accident attorney, NY motorcycle accident lawyer, NY Motorcycle Lawyer, PA motorcycle accident attorney, PA motorcycle lawyer, Pennsylvania, Pennsylvania motorcycle accident attorney, Twin Tiers. Bookmark the permalink.